Alstom has shipped the first trainset for a tramway in Lusail, Qatar. Lusail is a multi-billion-euro city that is being built from scratch 20km north of Doha ahead of the 2022 FIFA World Cup. The major project includes the development of a four-line light rail system, which is being built by the LRTC consortium – QDVC (Qatari Diar, 51 per cent, and VINCI Construction, 49 per cent) 60 per cent; and Alstom, 40 per cent. 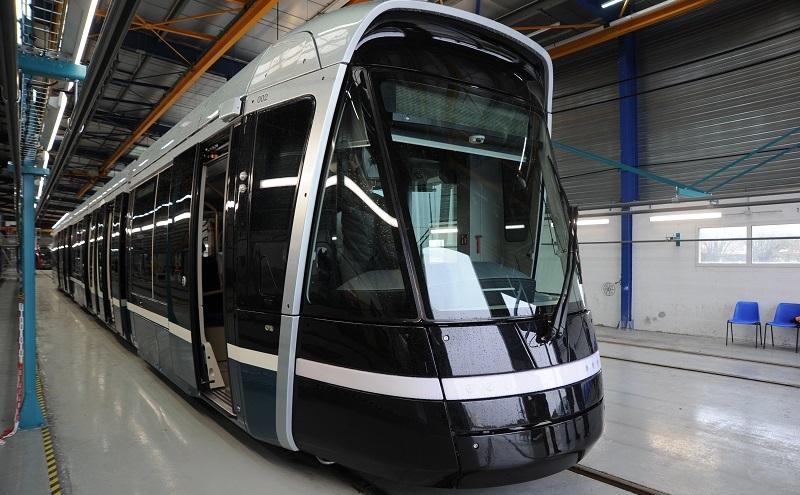 Having completed all tests; the first Lusail tram has successfully passed factory acceptance and has been shipped from Alstom’s plant in La Rochelle. From Barcelona it will be delivered by boat to Doha, arriving in March. As part of the consortium, Alstom is designing, manufacturing, commissioning and servicing 28 five-car Citadis trams, as well as the power supply, signalling and track works. Each low-floor tram will be 33m-long and be able to carry more than 207 passengers. They will feature two classes: common and family. Alstom’s Middle East senior vice president Didier Pfleger said: “Thanks to all Alstom employees involved in the Lusail tramway project, we have managed to achieve this great milestone.